Chen Yujun was born in Putian of Fujian province in 1976, a biographical detail important to his position as a contemporary artist working in issues of migration and identity. The most basic motivation of his work comes from the culture of the Central Min diaspora, which describes a seventh-century movement of central Chinese culture to the southeast (Fujian) under pressure of Mongolian incursions from the north. A branch of his family, themselves descendants of ancient and still recognizable central Chinese culture, further emigrated to the Southeast Asian nations of Indonesia, the Philippines, and Malaysia in the early 20th century. Many of Chen Yujun works are concerned with this lineage and the living environments of that alien territory. As young critic Lu Mingjun has described, this form of mental memory and life experience creates in his artistic practice a distinct anthropological aesthetic: for Chen Yujun, the foreign lands of the South Sea, as Southeast Asia is known colloquially, represent a space of possibility or experience of the unknown, and it is the communication of this experience that becomes the original intention of his work. In Hangzhou, where he works, many of his projects deal with the lineages and still-decipherable identities which characterize that scattered and unknown territory. 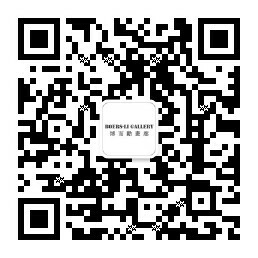 Gong Jian, an artist born in 1978 and educated in Hubei, works in a diverse range of media from painting to installation. Notable for his resistance to the centrism of Beijing and emphasis on his work from the artistic periphery of Wuhan, he has proven himself to be one of the most interesting artists of his generations. Always willing to forge his own path in terms of stylistic development and social intervention, Gong Jian works in a field of cultural production distinct from his peers in and around the Central Academy of Fine Arts, and the results are fascinating. In his earlier work, he playfully adapted the vernacular of Chinese folk painting to approach absurdist political and historical themes. Particularly well-developed is his blending of oil materials with the older graphic styles of pre-socialist realism folk painting. His brushwork reflects this variety of influences, while his use of color creates striking visual compositions that draw attention to his subtle and ironic social commentary. Recently, he has moved towards less playful and more academically informed experiments with discourses of depth and authenticity, examining the relationship between style and content. Throughout his career, the artist has concentrated on the concept of the intervention, in both public space and in art history. His newest oil paintings capture the vibrancy and visual interest of his colorful earlier works while maintaining the academic edge of his conceptually rich recent work. Qiu Xiaofei, born 1977, his artistic practice, which includes oil and watercolor painting, three-dimensional painting-sculpture, and installation, uniquely articulates the relationship between concept and aesthetics. His early work is largely concerned with the relationship between memory and history, the subjective nature of lived experience, the whimsical qualities of childhood, and the role of materiality in perception; his most recent work contemplates the power relations of art history, the theorization of the spectacle, and the work of the basic psychoanalytic apparatuses. His paintings recall a dreamlike and blurry state of memory that bears only an impressionistic relationship to reality. Song Kun, born 1977, hailed as one of the most promising young female artists of her generation, examines in her works the minutiae of daily existence. She works within a surrealistic dreamscape derived in equal parts from her life as a young woman in changing urban China and the imagined fantasies that grow out of it. She portrays an inherently individual perspective by collecting the concerns, fears, desires, growth, happiness, and confusion of daily life: the fleeting, innermost feelings of her generation. Revealing in this respect is the series of portraits shown this year at the Armory Show, the meaning of which lies in their description of both the physical and the emotional aspects of the human expression; they represent, perhaps, a sugar-coated protest against contemporary life. Yang Xinguang, a Beijing-based artist born in Hunan province in 1980. Through his participation in a series of group exhibitions across China, he has earned a reputation as one of the strongest exemplars of a reemerging sculptural sense among the younger generations of artists in China. Occupying a unique role in the dialectic of contemporary art history, Yang Xinguang steps back from both descriptive work on everyday life and protest work in the realm of politics. Instead, his introspective works recall the discourses of both American minimalist sculpture in terms of their phenomenological relationship with the body of the spectator and arte povera in terms of their openness towards material and space. Yang Xinguang’s works often involve wood, earth, and stone as their primary materials. Despite the process-oriented nature of their production, the emphasis remains on a final, finished product (although one differentiated from a unitary commodity); that is to say, all marks of production remain with the piece itself. Zhang Peili was born in 1957 in Hangzhou, China. He graduated from the China Academy of Fine Arts in Hangzhou in 1984 with a degree in oil painting. In the 1980s, he was a founding member of the artists' collective “Pond Society,” and acted as a cornerstone of the avant-garde movement in Hangzhou. Considered the father of video art in China because of his groundbreaking work in the late 1980s and early 1990s, Zhang Peili is currently the dean of the New Media Department of the China Academy of Fine Arts in Hangzhou. In the first years of this century, he devoted much of his attentions to art education in China, and counts numerous important video and new media artists among his former students. In the past several years he has returned to a more intensive artistic practice. His earlier works experimented with aesthetics of boredom and have treated themes of social and political control. Zhang Peili’s work is always implicitly political, and he is infamous for his incisive use of irony that maintains a consistently mocking tone without descending into satire. His more recent work interrogates viewing conventions, perceptions of time, and notions of progress through the remixing and editing of found footage; it also challenges the boundaries of media art, having focused on complex video installations for the past ten years.